Perhaps its out of sheer boredom, or perhaps its my manly instincts to just know what possibilities are available for my machine. But I’ll leave that to you to decide. There are a number of different references around the world wide web possibly suggesting that my machine can be wall mounted, but I’ve never had a clear cut answer. Hence the reason for this post. I will summarise what ranges can be wall mounted, and also identify the correct accessories for these models to get it on your wall, if you choose to do so. Bearing in mind that each one of the machines above mount in one of 3 different ways (which are described below), please ensure compatibility before buying what you need. For starters, we’ll begin with the original White iMac ranges. The rubber bumpers sit between the VESA and the rear housing unit to protect the casing, the tongue (or adapter) needs to be fitted to the internal hinge where the leg would normally attach to (so it requires opening up the machine), and the wall mount is then attached to the tongue with the two long screws. 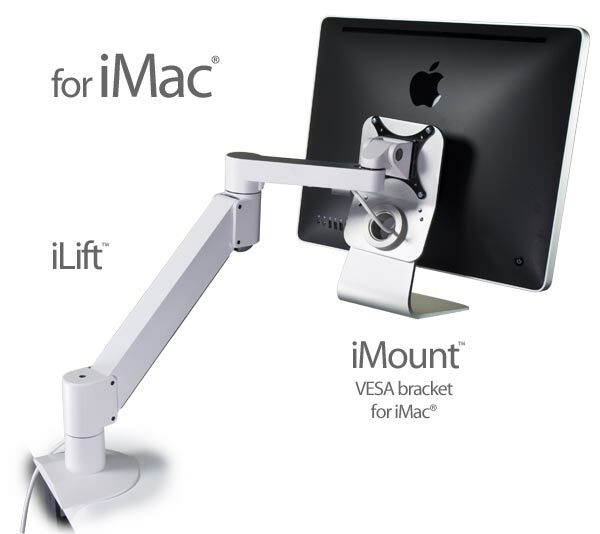 For these earlier models that require opening the machine to fit an adapter, there is an external casing alternative, such as the iMount, which can be found on smartdesks.com if you don’t fancy the labour intensive route to fit the VESA adapter. These ranges don’t require a complete rebuild, and are very straight forward to fit. All you need is the following kit, and the machine does not require being opened, as it is all done from the outside of the machine. 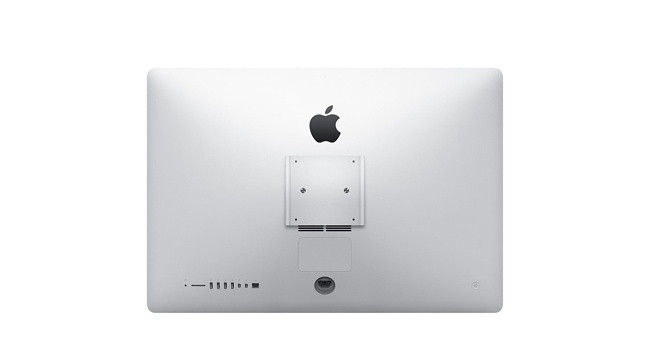 Simply lean the iMac all the way forward, push the card in until you feel a spring move (the card usually needs to go in at the same angle as the legs vertical angle), then push the iMac screen further forward until it clicks and all the screws are exposed. Then use the following kit to wall mount it. Finally, the last range to be covered is the very latest models. The 2012 and 2013 27″ and 21.5″ iMac ranges. Because of the way they designed the body, you cannot open the machine without tearing the VHB display tape, so you will need to replace the tape when you refit the LCD unit. 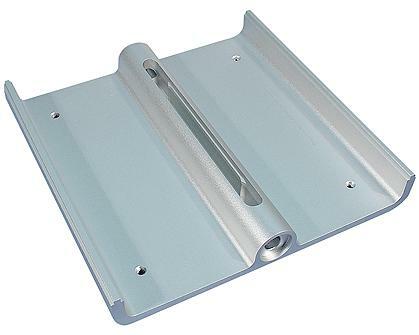 For the rest of the iMac ranges that have not been mentioned, the only option is a leg mounting option, such as the iMount mentioned above (photo below), so there are always options for wall mounting your iMac. After this, you can use either an extending arm, or a standard TV wall bracket. I hope this proves useful to those of you that, like myself, like to know how things work and what can be done if you get bored of your iMac just sitting on your desk… But just be aware of the time it will take (on some of the above methods) to get it done. All the part numbers shown above should be on our website at TheBookYard.com, but if they are not, please contact us and the relevant links can be emailed through to you. If you have any thoughts or alternatives, please let me know, as I’d be interested to see what other options are out there that I haven’t covered here. 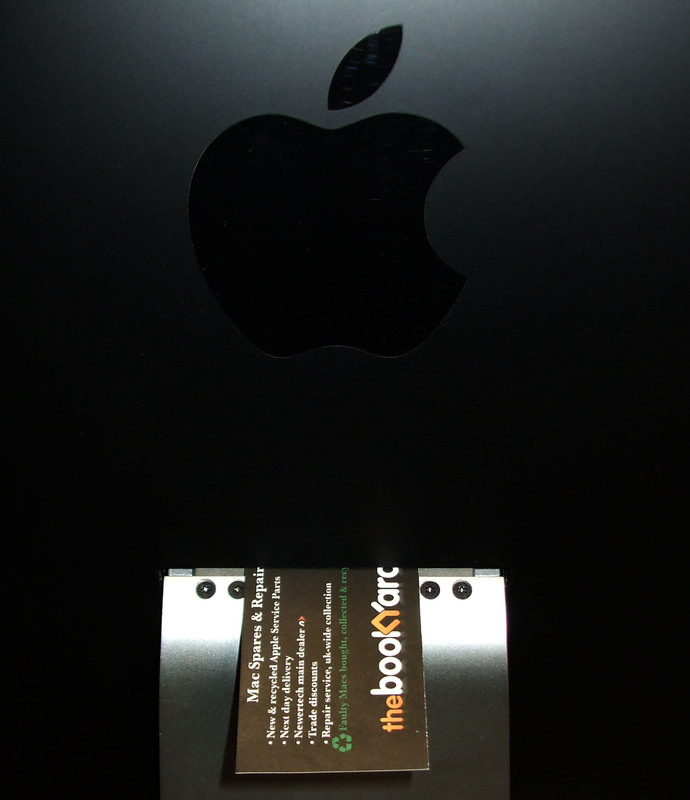 This entry was posted in How To Guides and tagged Apple Cinema Display, Cinema Display, iMac Aluminium, VESA wall mount. Bookmark the permalink.